Starting in 1452, under the guise of the Papal Bull Romanus Pontifex and later the 1493 Papal Bull Inter Cetera, the Christian Doctrine of Discovery, European Christians began their efforts to expand colonial rule, and the Christian Empire, throughout the world. Early colonial efforts centered on the western coast of Africa as Portugal “claimed” lands and engaged in the trafficking of African slaves. Spain was quick to follow suit in efforts to “claim” the lands that Columbus had “discovered.” Other European Christian Nations were to later engage in efforts to claim lands, resources, and slaves from the Caribbean Islands to throughout what is now called North, Central and South America extending out to the Pacific Islands. From the onset Indigenous communities have actively resisted colonial efforts. On Columbus’s return voyage to Spain to both report his findings and gather men and materials needed for colonization efforts, he had left about 35 men who were subsequently wiped out by Taino warriors. Resistance to colonization had begun. Similar scenes of European colonization efforts were repeated with similar responses of Indigenous resistance over the next several hundred years. The goals of settler colonial state have always been the same, remove Indigenous populations whether through extermination, relocation or assimilation, appropriate lands and resources and expand the reaches of the settler state. In its wake, 500 years of colonization and European expansionism has brought unparalleled loss of life through mass campaigns of genocide and enslavement, as well as, mass extinction of our other non-human relatives. Unci Maka, Grandmother Earth, has bore the brunt of this mass desecration and devastation with the loss of forests, pollution of waters and lands. While Indigenous communities have suffered the greatest impacts of colonization, the environmental impacts can now be felt by all communities. We are living in a time when our first medicine, Mni (water), is both being polluted to the point where no species can drink it and being overused to where underground aquifers are drying up. Despite colonial efforts to exterminate, terminate, relocate, and assimilate Indigenous populations, Native communities continue to resist efforts to both desecrate Unci Maka and strip Native peoples of their languages, spirituality and communities. From the Mayan Zapatista’s resistance against Neo-liberalism, to 1st Nations and Tribal uprisings against tar sands and hydraulic fracturing pipelines and other intensive fossil fuel, mining and earth destroying projects, Indigenous peoples continue to resist the efforts of the colonial settler state. Whether non-Indigenous peoples realize it, or not, these acts of resistance benefit you, your children and your generations to come in that the battles being waged are for life itself. All beings need clean water to drink, clean air to breath and non-polluted foods to eat. All beings were given original instructions, instructions in how to live as a relative with all relations, how to live for the continuance of life itself. Daily, our other relatives, those seen and unseen, continue to fulfill their roles and responsibilities for life to exist. With the exception of some Indigenous communities most “humans” have strayed from our roles and responsibilities. Because of that, it is no surprise we find ourselves in such a state of unbalance. On this day I give wopila, thanks, to all those who continue in the 500 year old resistance to colonization. Mitakuyepi, my relatives, continue to relearn your traditional languages, go to ceremony, strengthen your relationships with your relatives and stand for Unci Maka and the generations yet to come. 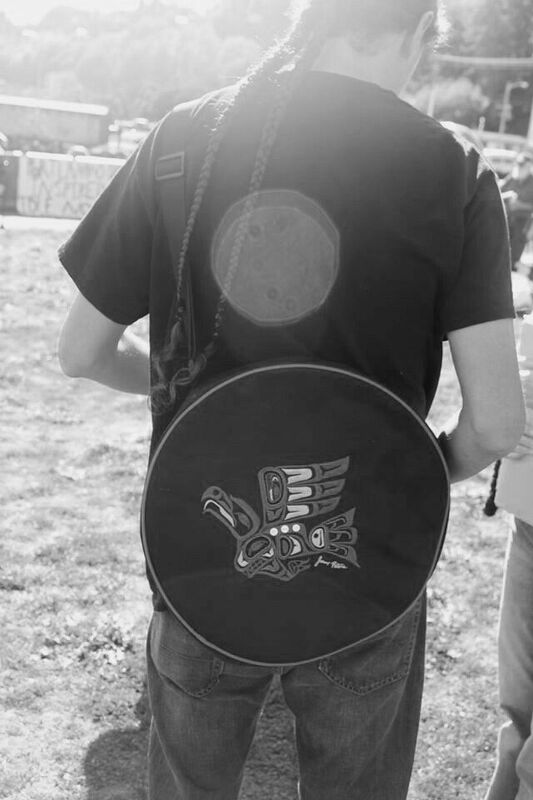 This entry was posted in Visionary Leadership and tagged Indigenous resistance, Last Real Indians, LRInspire, matt remle by lrinspire. Bookmark the permalink.